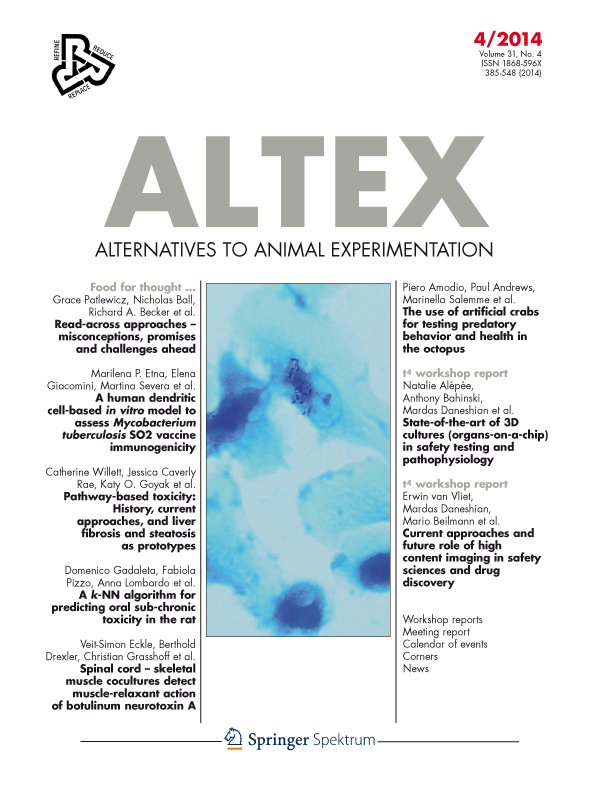 von Aulock, S. (2014) “Corners”, ALTEX - Alternatives to animal experimentation, 31(4), pp. 531-539. Available at: https://www.altex.org/index.php/altex/article/view/255 (Accessed: 26April2019).